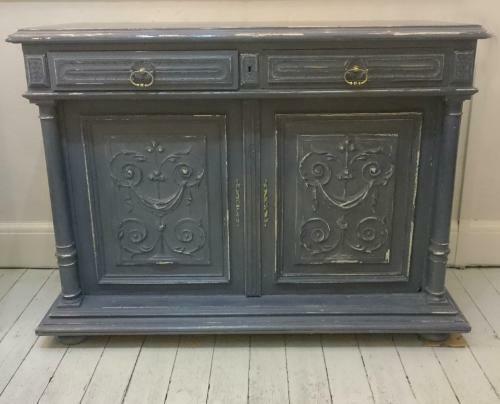 Vintage French sideboard painted in Grand Illusions vintage paint "nordic blue" with a base of "earl grey" and an interior in "gulls egg". Finished with it's original handles. This usit does not have a working lock, they key is for decorative purposes only, however the doors sit closed perfectly. This would be a great unit to use as a TV stand with extra storage.